Cleavers (Galium aparine): growing, planting, caring. Don’t get close or you’ll see why it is also called Stickyweed! Galium aparine - known as cleavers, bedstraw, goosegrass, catchweed, stickyweed and grip grass, is a herbaceous annual plant of the family Rubiaceae. They are annuals with creeping straggling stems which branch and grow along the ground and over other plants. They attach themselves with the small hooked hairs which grow out of the stems and leaves. The cleavers are part of the spontaneousflora : it does not require maintenance, neither to settle, nor to seed itself everywhere. He is so affectionate! It is a discrete white-flowering annual, which is found in clay, humid soils, rich in nitrogen - a big population of cleavers indicates an excess of nitrogen fertilizer! Its quadrangular stem, which is 30 cm to 1 meter high, is lined on the corners with small, twisted prickles that allow it to easily grip everything it reaches! Its leaves are grouped by 6 to 9, bristling with small spines underneath. Its flowers are whitish, in inflorescence starting from the axils of the leaves. It bears big fruits groupedin pairs, from 4 to 7 mm, bristling with hairs also hooked! 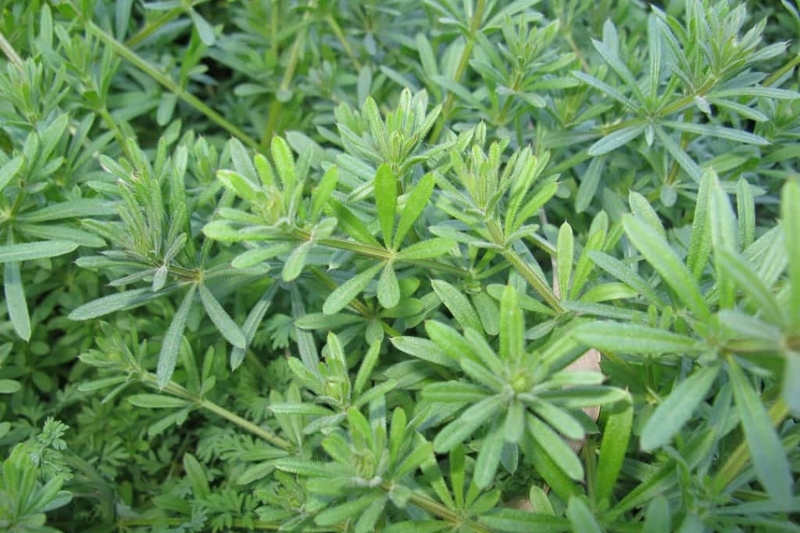 The cleavers are used in herbal medicine as diuretic and sudorific. Can we talk about planting cleavers? It will settle down alone if it finds a location that suits it, in clay soil, wet and nitrogenous. Obviously, the soil where the density of other plants is low are favorable to him. Mulching allows easy weeding if you do not like it.